Ryu Shogi is a Zillions-of-Games file. It is categorized as: Orthodox chess, . Ryu Shogi . Large modern shogi variant. Author: Peter Aronson. Inventor: Jared B. McComb. The board used for this game has 12 row(s), 7 column(s), 84 cells/squares. Browse items that also start with the letters Ry. Browse items that also start with the letters Ryu. Ryu Shogi. 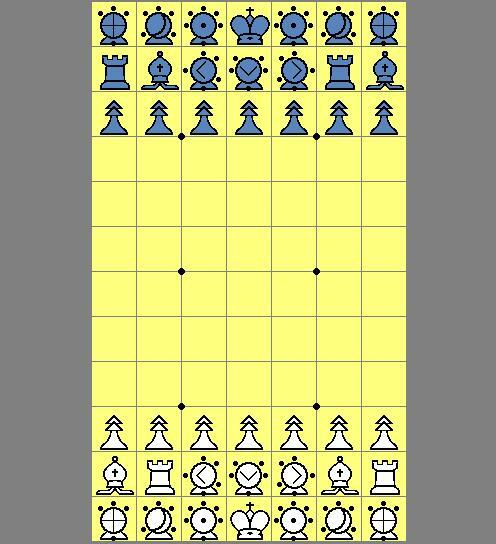 Large modern shogi variant. (7x12, Cells: 84) By Jared B. McComb. Whoops! I fixed that -- maybe the ZRF will play better now. ZRF version is now 1.1. Nice game! :) But I found a bug in the zrf file. I was able to take the King and the game did not recognized that. The result was I had to take all pieces from the opponent to win!